Character: Brewed with Centennial, Chinook and Magnum hops as well as an immense dosing of fresh grapefruit peel. So, what is Stochasticity, you ask. Definition says: The quality of lacking any predictable order or plan. In other words, random plans, ideas, no order or instructions to follow. Stone Brewing Company is always one who pushes boundaries already as it is, but now they have created the Stochasticity Project, and released a few beers under this series. This is the first beer introduced to the masses via this series, and what a way to start something wonderful! This IPA called for the appropriate glassware, so I used the glass specifically designed for IPAs, which would bring out the aroma and flavors. Grapefruit Slam poured a semi-hazy golden color crowned with a fizzy white head with good retention throughout the session. A lacing left down the glass, mostly in sheets verses lines. Looked great! The aroma is full of citrus fruit, heavy on the grapefruit due the added grapefruit peel and the hops used. The added ingredients only just intensified the already present grapefruit aroma from the hops, along side some lemony, and piney scents. Some grassy notes are present, along with subtle hints of pineapple and green apple. Tons of fruit character here with this one. The taste follows the aroma. First thing that happens here is a violent punch to the palate of pure grapefruit citrus taste. Others say this beer is similar to grapefruit juice, but I don’t think it’s that intense. 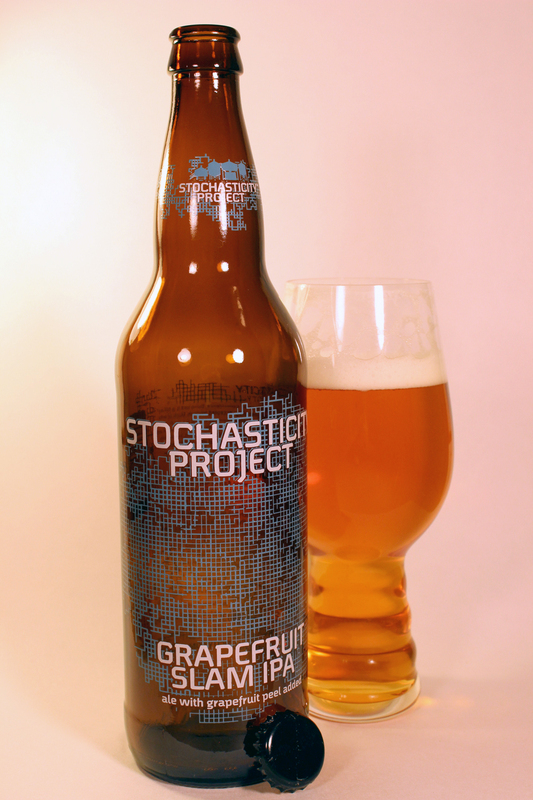 The grapefruit is dominant, that’s for sure, but it’s due to the hops and added grapefruit peel. My taste buds went crazy on picking up all the sharp citrus and other fruit characters of this beer. I was able to pick up soft flavors of pineapple, grass, and green apple. This beer is as West Coast as the whole N.W.A. crew! The beer has a medium body, with high carbonation. The body is chewy with an astringent, sharp bite at the end. Overall, I was impressed by this beer. I really liked the overabundance of grapefruit aroma and flavor present in this beer, as advertised by the name. I hate it when a beer is promoted with such ingredients and does not display anything close to the advertised ingredient. Stone rarely makes a beer that I do not like, so I went into this beer with high hopes, and I am so glad I was not let down. I am not sure if they plan on releasing this series in more batches, so I’m sure right now the ones found on the shelves of this beer are a bit out dated, and the grapefruit might be more subtle by now. This beer was actually consumed a few months ago, but just now making it up on the site! Just check for the bottling date on the bottle before purchasing. Some of you though, may enjoy this beer with a little age. I guess it’s up to you and your preference. Metal Connection: What better way to pair a beer made by Stone Brewery than with a killer classic band from California, like Suicidal Tendencies. This song might not be an old classic or anything, but it’s great to still show love for this amazing Thrash Metal/Crossover band. 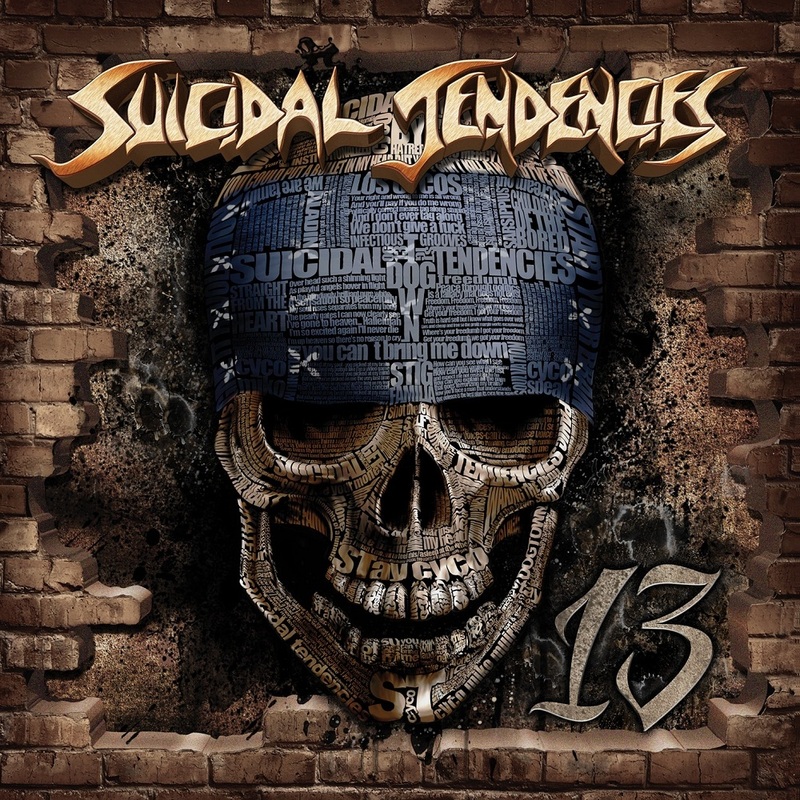 Suicidal Tendencies have been helping kids skate, surf, ride, let out aggression since 1981, and are still happily active in the Metal world. I have been a fan ever since I was a little kid and have all of their albums that I still listen to a lot. Here is the song “Slam City” from their tenth full length album, entitled 13. So, sit back, relax, crank up this tune, and enjoy yourself a great beer of your choice!